PRESS RELEASE – This is a special Santa Alert! Air Traffic Control at Falcon Field Municipal Airport in Mesa reports seeing a blip near the North Pole on its radar screen. 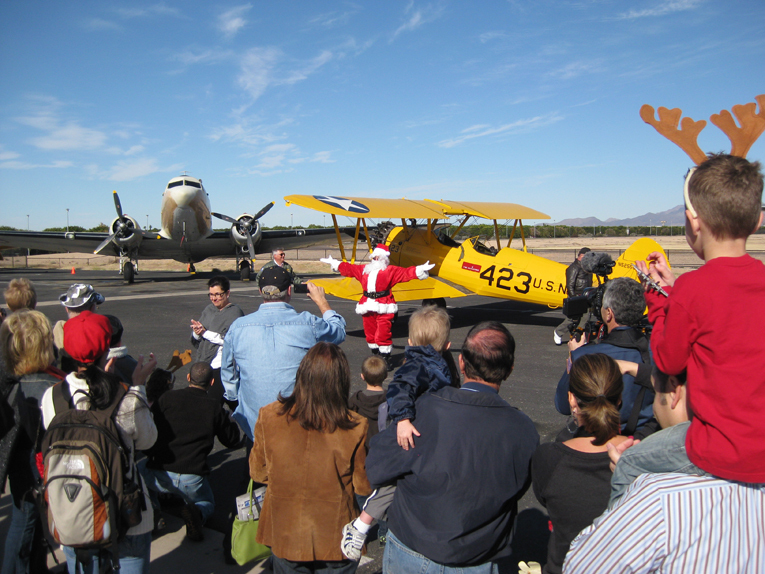 It looks like Santa Claus has begun his annual 3,905-mile journey to The Commemorative Air Force (CAF) Airbase Arizona Aviation Museum at Falcon Field. According to Ground Support at the Museum, Santa is scheduled to land at 11:00 a.m. on Saturday, November 29, 2014. Earlier that morning, before doors open to the public, the Museum will host a special “Breakfast With Santa” for 100 children sponsored by the Salvation Army. Santa and CAF Airbase Arizona are also going to help the East Valley Firefighters Charities collect toys for needy children this Holiday Season during their annual toy drive. The Museum will collect new unwrapped toys and canned food from November 29 through December 19. On the day of Santa’s November 29 visit special admission prices will be in effect. Admission will be free for children 12 and under and $12.00 for those 13 and over. 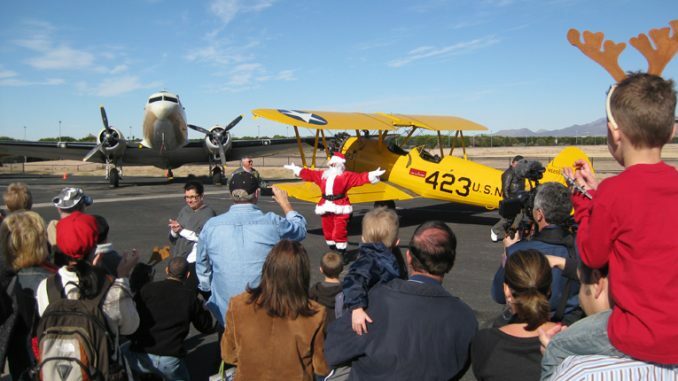 Museum visitors who bring a new, unwrapped toy to the Airbase that day will receive FREE admission. Those bringing canned food will receive $1.00 off of the Museum admission price. The East Valley Firefighters will distribute these toys and canned goods to needy children throughout the area for the holidays. Santa also will be talking to all the girls and boys who come to the Museum that day, gathering their Christmas wishes and his special Elf assistants will assist him in determining who has been naughty and nice. Doors open at 10:00 a.m. and close at 4:00 p.m. with Santa Claus arriving at 11:00 a.m. 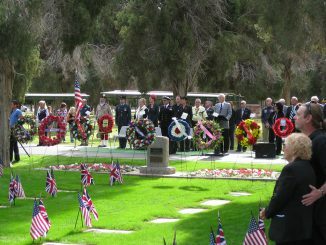 Admission includes a tour through the Aviation Museum and its collection of over 20 historic aircraft. Toy drawings will be conducted every hour.The CAF Airbase Arizona Aviation Museum and the City of Mesa encourage everyone to join the East Valley Firefighters in making sure needy children have a happy Holiday Season.The Toy and Food Drive will run from November 29, 2014 to December 19 this Holiday Season at the CAF Airbase Arizona Aviation Museum. 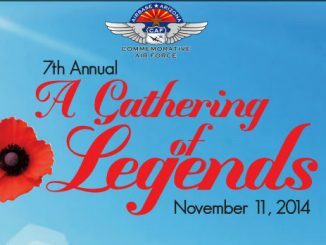 The CAF’s Airbase Arizona is a nonprofit all-volunteer organization celebrating its 36th year as the Valley of the Sun’s premiere military aviation venue. Airbase Arizona is dedicated to our Nation’s historic legacy of freedom through educational programs, preservation and flight of historic aircraft, remembrance and exhibition through the display of unique historic artifacts.For more information on the CAF Airbase Arizona Aviation Museum call 480-924-1940 or visit our website at www.azcaf.org. 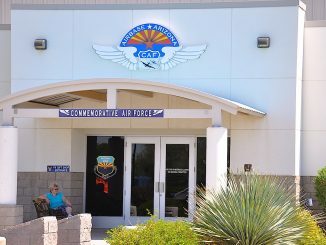 The CAF Airbase Arizona Aviation Museum is located at 2017 N. Greenfield Road, Mesa, AZ at Falcon Field Municipal Airport.